The city was announced as the next holder of the title on December 7, and will become the third host city, after Derry/Londonderry in 2013 and Hull, which is UK City of Culture this year. It beat bids from Sunderland, Paisley, Stoke-on-Trent and Swansea to take the title, and has already set out plans that focus on youth and diversity in its proposals. Each city was assessed over a number of months by an independent panel – chaired by television producer Phil Redmond – and set out the details of their plans to the judges when they visited each location. 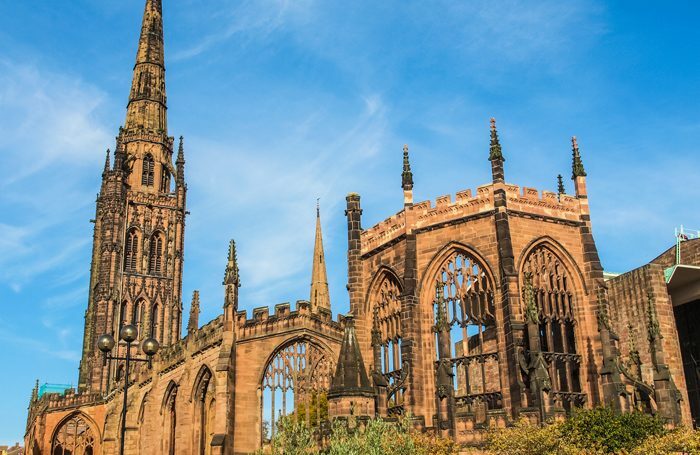 Coventry now has three years to prepare its year-long programme of activity, and will receive a £3 million grant from the Heritage Lottery Fund to kick this off. Arts minister John Glen congratulated Coventry on winning UK City of Culture 2021. He said: “The title is an incredible opportunity for Coventry to boost investment in the local economy, grow tourism and put arts and culture centre stage. Hull’s local economy has received a £60 million boost in 2017, with nine of out 10 residents attending or taking part in a City of Culture activity. The news comes shortly after five other British cities were told that their bids for European Capital of Culture 2023 would be ineligible. The UK will no longer be in the European Union by 2023, however non-EU cities have hosted the competition in the past. The European Commission’s decision to exclude entries from the UK was described as a “terrible blow” to the cities, which had spent up to £1 million on their bids.